Take heart, Stephen King fans: The Dark Tower movie is back from the dead. Yes, just when you thought the feature film adaptation of King’s sprawling fantasy book series couldn’t go through any more permutations, Sony Pictures has swooped in to bring the whole thing back from the brink with franchise plans in mind. Deadline reports that Sony has teamed up with MRC to co-finance The Dark Tower in what is planned as the first in a series of movies, with the complimentary TV series still being developed with MRC. 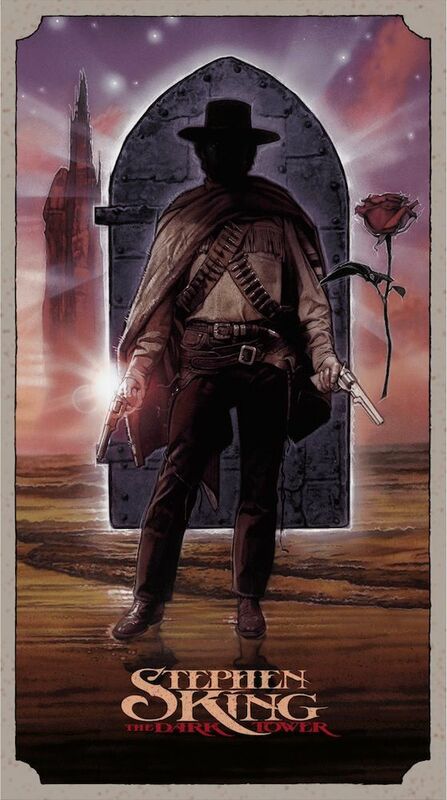 The ambitious project originated with Ron Howard directing for Universal Pictures in 2010, with the aim to produce a film trilogy that would be interspersed with a TV miniseries that would ensure the entirety of The Dark Tower book series would be told. Javier Bardem was looking to star, HBO agreed to produce the TV installments, but then Universal blinked and opted to pull out of the project over budget concerns. Warner Bros. subsequently stepped in to possibly take over, but it too eventually passed due to the project’s budget—even after Howard and producer Brian Grazer had cut out $50 million. In fall 2013 Howard confirmed the project was still in development, but said he’d no longer be commenting on the film’s progress given its tumultuous history. Cut to today, and Deadline reports that new Sony Pictures head Tom Rothman has settled on The Dark Tower as one of his first franchise plays. It appears that Howard no longer intends to direct, as the first film is poised to go out to filmmakers soon with a new script written by Akiva Goldsman and Jeff Pinkner (Fringe). This is an entirely reworked version of the screenplay that Goldsman and Pinkner previously developed for the Universal/Warner Bros. iteration, and is primarily based on the first book in the series, The Gunslinger. Howard remains involved as a producer through his Imagine Entertainment banner, but it will be interesting to see what kind of filmmaker Sony brings on to finally get this thing in front of cameras. The report notes that MRC is still developing the TV component, but it’s unclear if the plan is still for the film stars to also lead the TV series, or if the TV iteration will be tangentially connected to the movies. If you’ve followed this project over the past few years you know it’s probably wise not to hold your breath just yet, but having found a home at a new studio, The Dark Tower movie may be in its most hopeful position in years.